Ciels variables (variable skies) is a media installation that employs the matrix structure of the digital image to translate spatiotemporal phenomena. Using webcam archives as raw material, it displays a yearly sampling of the sky from places located at different latitudes on Earth. 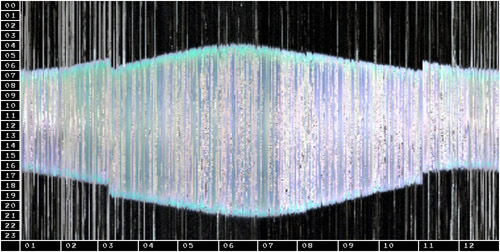 From midnight to 11:59 PM, a part of the sky was sampled and translated to an image by the use of a slit-scan technique. 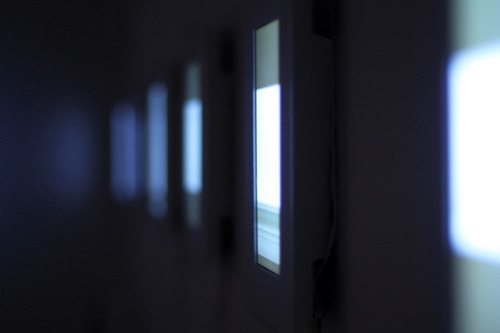 The 365 images generated for each geographic point are looped on 7 synchronized LCD screens. The 14 channels soundtrack was created using a synthesis process wich converts the image’s colors and brightness to sounds. One year sampling of Montreal’s sky used for the media installation Ciels variables. Variable Skies is a media installation that employs the matrix structure of the digital image to translate spatiotemporal phenomena. Using webcam archives as raw material, it displays a yearly sampling of the sky from places located at different latitudes on Earth. From midnight to 11:59 PM, a part of the sky was sampled and translated to an image by the use of a slit-scan technique. The 365 images generated for each geographic point are looped on 7 synchronized LCD screens. 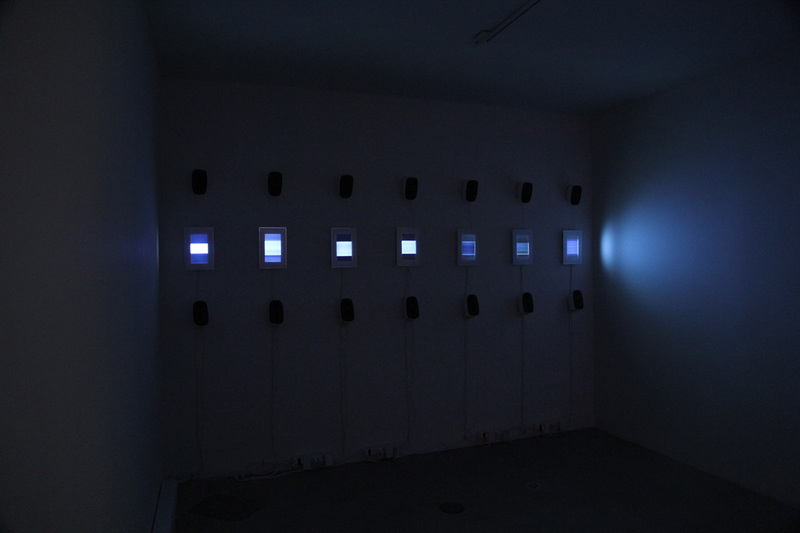 The 14 channels soundtrack was created using a synthesis process wich converts the image’s colors and brightness to sounds. One year sampling of Montreal’s sky used for Variable Skies.